When it comes to choosing a slot machine to play at a mobile casino, some people have specific preferences. They might want a slot machine that offers 5 reels or they might prefer a 3 reel slot machine. Some people like a machine that has a lot of paylines, while others want a machine that is not as complicated to figure out. Each individual must choose a slot machine they like. The one thing that all of the people playing slot machines at mobile casinos have in common is the desire to win money. 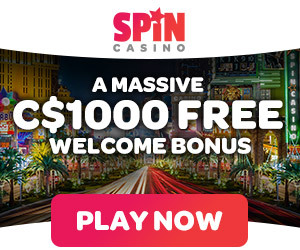 For people who do not have a specific type of machine that they enjoy playing and that just want a chance to win a big jackpot, the Cash Splash Progressive mobile game may be the best choice. The first thing that people will find out about this machine is that it has both a 3 reel and a 5 reel option. The4 progressive jackpot can be won with either version. The great thing about the progressive jackpot is that it grows every time someone plays the game. It is not just the people who are at a specific mobile casino site that will add to the progressive jackpot. It is added to by anyone playing this game at any casino in the world. That allows the jackpot to grow bigger and faster. The player is able to see the jackpot growing on their screen as they play. They will be able to see how much they can win on any one spin. In addition to the progressive jackpot, the player has a chance to win smaller jackpots as they play the machine. The 3 reel and 5 reel versions are different. The 3 reel has only 1 payline. It uses the traditional symbols of slot machine s that include the bars, cherry, and 7’s. A Cash Splash symbol is the wild symbol and is also the symbol that will trigger the Major Millions progressive jackpot. One Cash Splash symbol multiply the winnings by 2, 2 Cash Splash symbols multiply the winnings by 4, and if you have bet the maximum amount of coins and get 3 cash splash symbols you will win the big jackpot. The 5 reel game has 15 paylines. It includes the same symbols as the three reel game, but it includes a few other features. A scatter symbol will let people win anytime 3 of them appear on the screen no matter what payline they are on. It takes 5 Cash Splash symbols on the 15th payline to win the progressive jackpot.